The US Civil War was the most costly conflict that the country has ever faced. The fighting was responsible for more American deaths than almost every other war the US has fought combined. And the financial cost of the conflict radically changed the entirety of the US economy with repercussions still being felt today. The following photos, from the Library of Congress, highlight the individuals affected by the conflict with stunning images from that period of conflict. 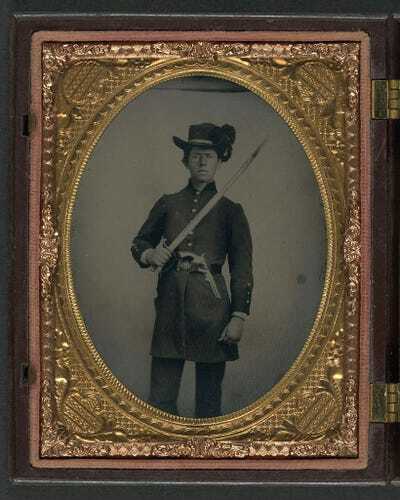 An unidentified young soldier in Union uniform with musket and bayonet in scabbard. A girl holds a framed image of her father. 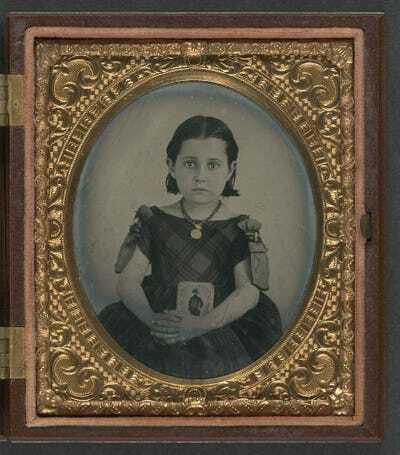 Judging from her necklace, mourning ribbons, and dress, it is likely that her father was killed in the war. 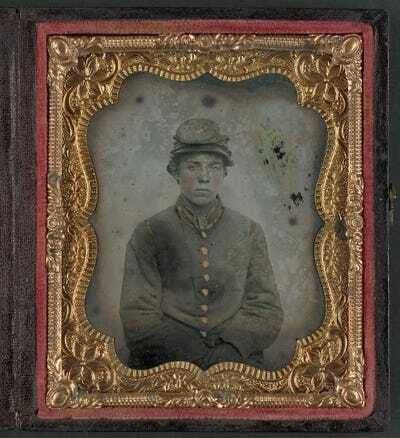 An unidentified young soldier in Confederate uniform. 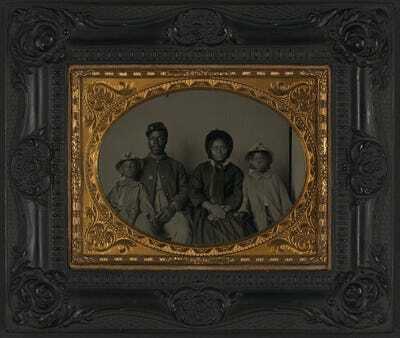 This photograph shows an unidentified African American soldier in Union uniform with his wife and two daughters. In May 1863, U.S. Secretary of War Edwin Stanton issued General Order No. 143 creating the Bureau of U. S. Coloured Troops. 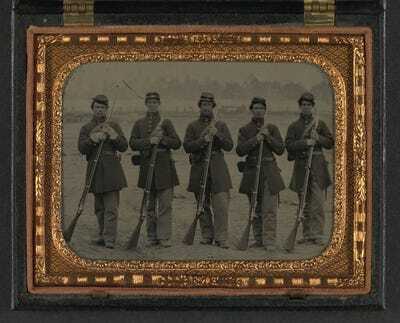 This photo shows Union soldiers wearing frock coats and standing at ease with their Enfield Rifles. An encampment is visible in the background. 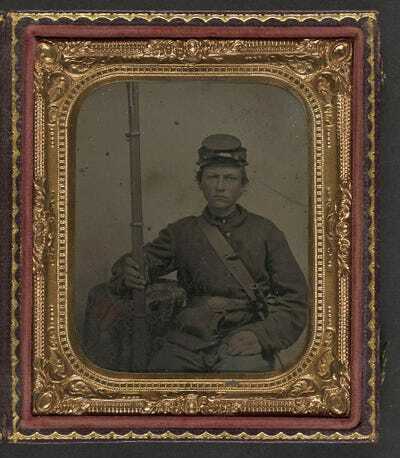 An unidentified soldier in Confederate uniform with Berdan's Sharps rifle and Colt 1862 Police Model pistol poses. 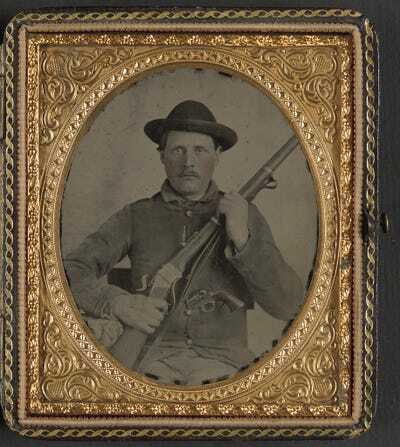 An unidentified young soldier in Union uniform and Hardee hat sits with musket, cartridge box, and cap box. 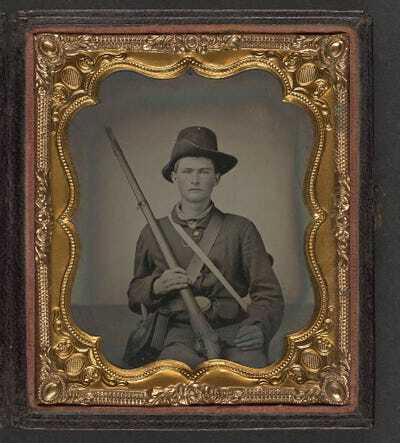 An unidentified young soldier in Confederate uniform and Hardee hat stands with holstered revolver and artillery saber. 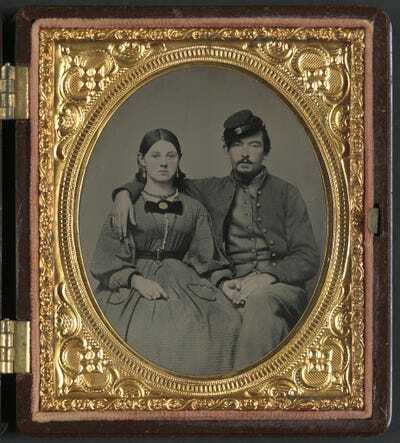 Private Edward A. Cary of Company I, 44th Virginia Infantry Regiment, in uniform poses with his sister, Emma J. Garland. 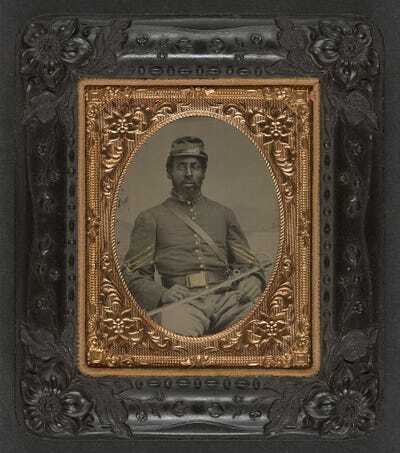 An unidentified African American soldier in Union cavalry uniform poses with cavalry saber in front of painted backdrop showing landscape. 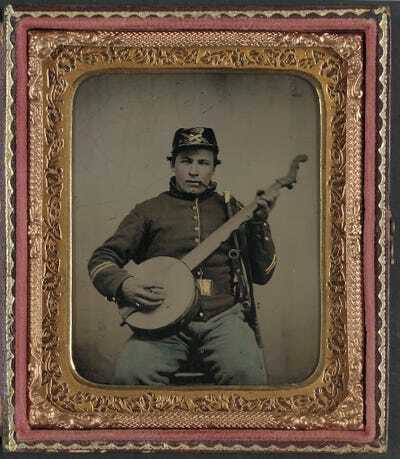 An unidentified soldier is pictured in Union cavalry uniform with banjo, sword, and pipe.